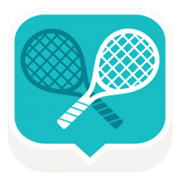 Tennis SetApp is the social platform that allows you to connect and play with your optimum tennis mates. Leverage our international community, whether you’re looking for existing tennis mates or new comers. In just a few clicks, create your match, invite your friends and hit the courts!